February is the month of love, so why not enjoy some of the best Denton, Lewisville and Highland Village have to offer with your loved ones? Whether you want to enjoy the month with your significant other, family or friends, DCTA can get you to all the fun and unique events throughout the area. Join the city of Denton in honoring Black History Month with the city’s annual celebration at 10 a.m. on Feb. 16 at the MLK Jr. Rec Center. The festivities include a free health fair, gospel music and a guest speaker. You can take the Denton Connect Route 2 to the MLK Jr. Rec Center to participate in all the festivities! The event is free, including a Zumba class which starts at 11:30 a.m., so come ready to dance the day away! 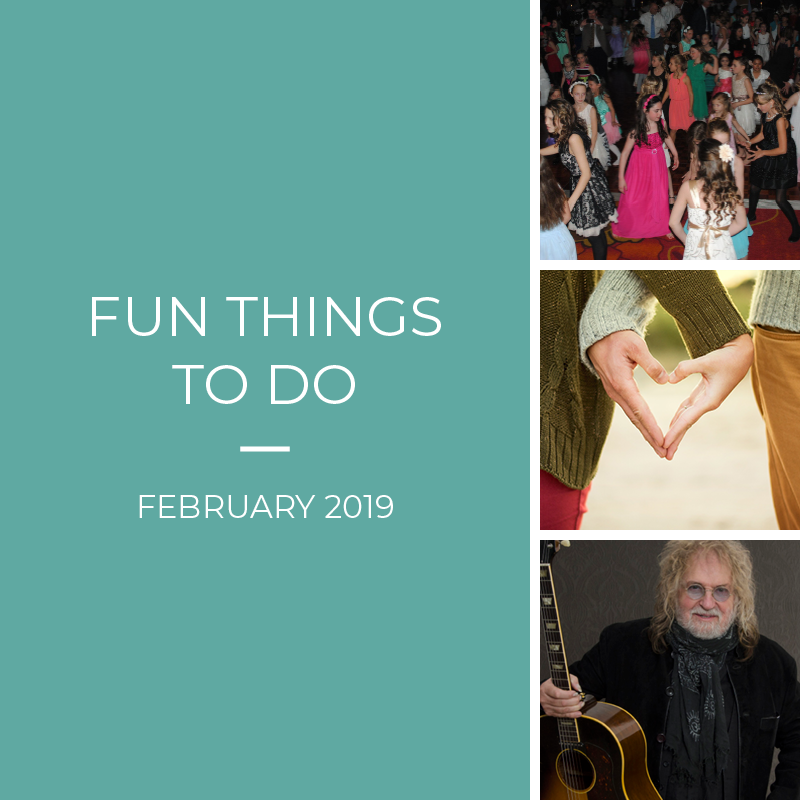 Texas Tunes is starting off its 2019 series with Ray Wylie Hubbard at 8 p.m. on Saturday, Feb. 9. Hubbard is an American singer-songwriter who lived in Dallas and graduated from the University of North Texas. The Texas Tunes series pays tribute to Texas, featuring musicians who are based in Texas performing music about the state and takes place at the Medical City Lewisville Grand Theater. The theater is accessible by the Old Town Station. Tier 1 tickets are $30, and Tier 2 tickets are $20. Lewisville residents can purchase tickets for $15. For more information about this and upcoming shows and to purchase tickets, visit https://www.mclgrand.com/performances/mcl-grand-presents/texas-tunes. February is the best time to celebrate the relationships you cherish – especially those in your family! The city of Highland Village’s Father and Daughter Valentine’s Dance takes place from 6:30 p.m. to 9 p.m. on Feb. 1 and will feature dancing, door prizes and a special guest. Tickets are $30 per person for Highland Village residents and $35 for non-residents, and dinner is included! Hop on Lewisville Connect Route 22 to get to the Hilton Garden Inn in Lewisville. What’s a better way to keep up with your New Year’s resolution than trying a new activity with your loved ones? Yoga and Meditation Sessions with James offers three types of classes which feature relaxation, guided meditation, stretching and more, and the classes are offered Monday through Friday starting at 8:30 a.m. throughout the month! Bring a friend and use Denton Connect Route 7 – or just take a short walk from the Square – and enjoy your first class free! Let us know in the comment section below which events you plan on attending via DCTA this month!